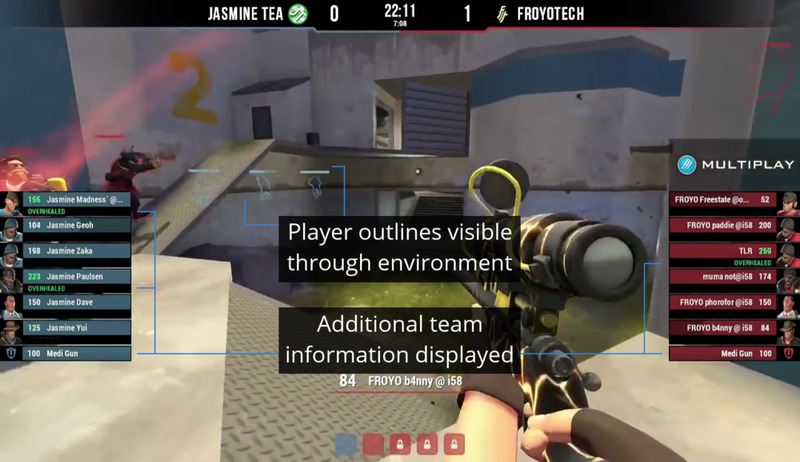 TeamFortress.TV has been using NodeCG-powered graphics since the Insomnia 49 event in August 2013. I have worked closely with other members of the organisation to design and develop minimalistic, animated overlays which provide good information, look professional, and are not distracting. Special customisations have been added for some LAN events, such as a photos display during breaks. In addition to maintaining this for online use, I have also been the graphics operator at Insomnia 55, working closely with our lead producer. I have assisted TeamFortress.TV in producing coverage for Team Fortress 2 at Insomnia 46, 49, 52 and 55. On top of this, I have also provided remote support for Insomnia 58, and several ESEA LAN events. At the Insomnia events, I have helped ensure game plugins are set up correctly, broadcast graphics are prepared for all streams, and maintained local streaming servers to get video from players seats to our producer's PC. In February 2013 TeamFortress.TV started using a new plugin I had developed, AdvSpec, which added features to the spectator experience that were not provided by the base game. I worked closely with TF.TV and other organisations, such as VanillaTV, before publicly releasing the plugin in May 2013. Since then, it's main features have been ported into the StatusSpec project, and some of which are now in the standard Team Fortress 2 game.